Bressola has been shown once in her life. 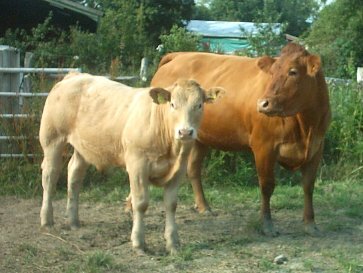 In November 2005 aged just 13 months she won the baby beef heifer class at the South Eastern Primestock Winter Fayre, where the judge commented that she was full of style, and was awarded the Reserve Champion in the Open Heifer Section. She will now be retained for breeding as we think she is gorgeous. 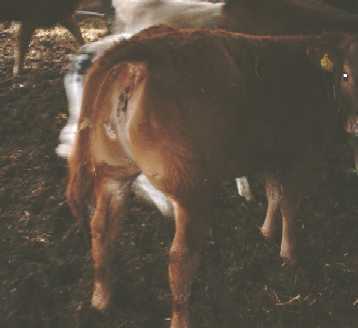 Kylie was imported from Ireland and successfully shown in including Commercial Beef Champion at Heathfield Show, 3rd suckled calves at Smithfield, and 4th at the Royal. 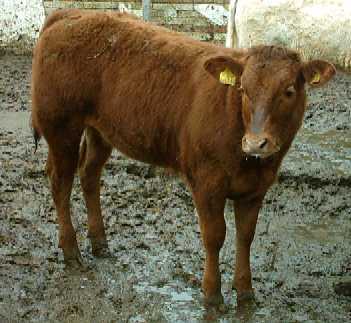 Sold with calf at foot August 2008 to David Plested. B. Frankie by Farleycopse Telemarque born November 2007.